Richmond, Virginia, USA and Westport’s Ford Transit van is on the move shuttling cyclists to and from their races. Worlds is a nine-day event, running September 19 to27, hosted by Union Cycliste Internationale (UCI). The event features 12 championship races for elite men and women and junior men and women. The same cyclists who race in the Tour de France will race in the 2015 UCI Road World Championships. 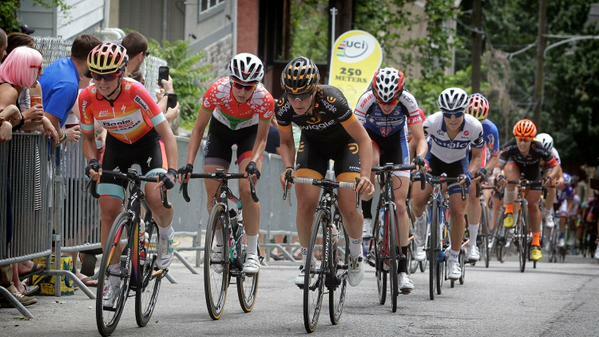 Like the Olympic Games, cyclists race for their country. The athletes compete in three different disciplines, including the traditional road race, individual time trial and the team time trial. World Champions are crowned in each discipline. The global sporting event is covered by more than 500 media outlets from around the world and is broadcast live to a global audience of more than 300 million people. Westport recognizes this year’s host, The City of Richmond, and the commitment it has made to clean air, with low emission vehicles like the Westport Ford Transit van. Westport’s Ford Transit Van is a dedicated compressed natural gas (CNG) vehicle with 3.7L V6 engine. EPA and CARB certified, Westport’s Transit cargo van is compliant with Clean Port Act emission standards, ensuring fleets and small businesses who service airports can take advantage of natural gas. Learn more about the natural gas Westport Ford Transit Van by emailing fordsales@westport.com or visiting the Westport website.